The 2012-2013 design of Yscariot. The original design was created by artistic contributor, Luis Macias. The on-paper drawing was later improved and colored by the author, Marcus Medina. The original Alpha cover design, 2012. Yscariot was born on Skorpeus-20-GA19 in Beslehem, Urdea as an only child to his mother Maryam, an Eygean of Faroanian descent. He is of mixed race and lives in the slums of Nazares, Urdea, yet nothing is revealed about a father or father figure in his life or story. Yscariot is introduced in Verse 2: Awakening in Yscariot: Sphere of Light as a 15~16-year old high school student who suffers from Leprosy and deals with bullying on an everyday basis. As a leper, he has very little aspiration to achieve anything in life as his heart is directly infected with the disease. Before the events of Verse 2, he spent a lot of time accompanying other teens who were constantly getting into trouble, either stealing or joining gangs to fight over territory, although he did not join himself, he merely served as a looker who also recorded video for the group. Yscariot later disbanded from his original group spent more time with his younger cousins playing an excessive amount of video games. This also resulted in being targeted by the rivals of his old friends and increased his anxiety of being alone around town. Living below the social ladder, he was fortunate to be given the offer to travel to Yamato, one of the major countries of The Federation of Shenguo (a continental nation for which he expressed high interest), on a school trip meant for the higher-class students of Nazares. Justice is an alias given to Yscariot as a vigilante in Yscariot: Sphere of Light. Under a simple disguise, he dons a sweater once belonging to a super-introverted friend (Lazaro) after an attempt at washing clothes on his own went wrong. After the exchange, Yscariot uses the sweater to keep people from recognizing his face while on runs within the city. Normally, all of his hair is hidden within the hood and only parts of his nose and mouth are shown. On the way to school, he had enough time to stop a crime in progress, and when confronted by a hostage-taker, he self-proclaims himself as “Justice”. His only eye-witness used this name to identify her savior as Justice and the news would later recognize him as such. After a losing effort fighting off a gang of Yamato street thugs, Yscariot encountered a sorcerer and his daughter for a second time. 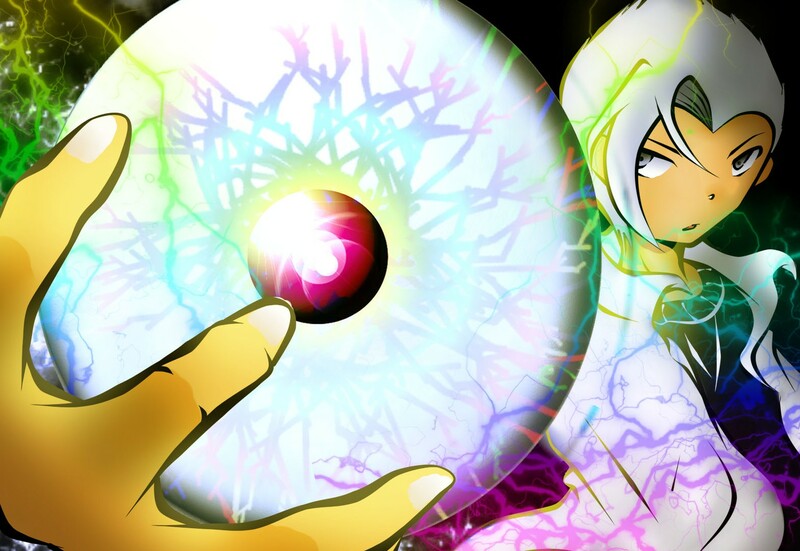 He inherited the powerful energy source known as the Sphere of Light and gained an impressive amount of knowledge from it. His power alone was enough to eradicate the Leprosy disease from his body and his hair and eye color changed to silver. 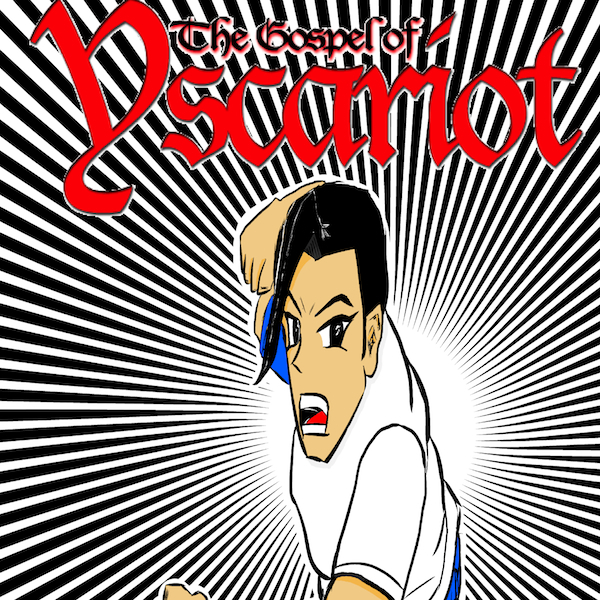 Due to his responsibility of being a school student and making a promise to his mother, Yscariot had no choice but the break the power into fragments in order to suppress the appearance of his transformation. 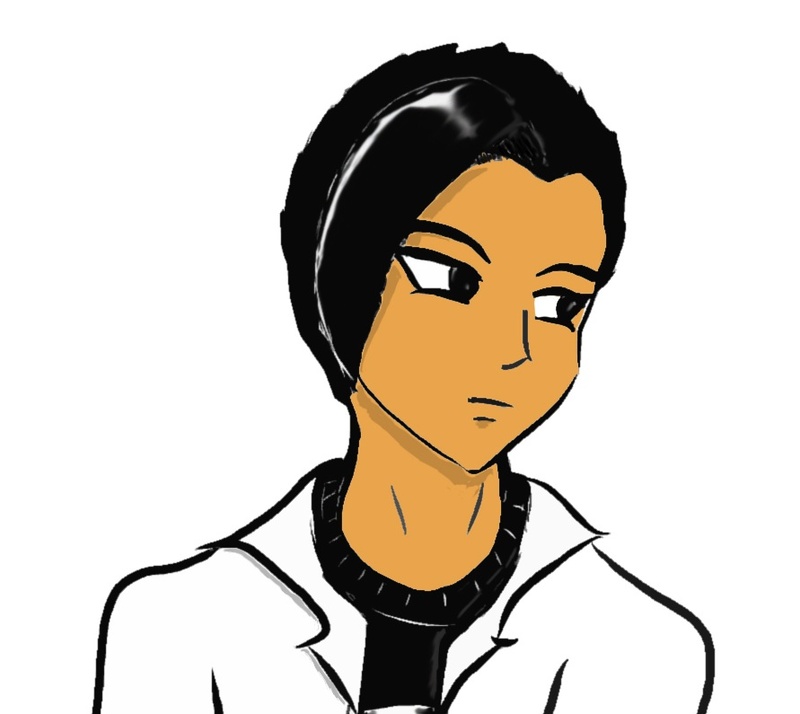 In Chapter I, he is the second strongest human born on Earth next to Miho, the half-Earthling daughter of Joseth. Only his cousin, Riu and Sho, would rival him in terms of skill and power. Blood Type: Originally O+, later mutated after Verse 8. Inspirations: Combination of Dragon Ball Z and FF7 characters in older concepts. The Evolution of Yscariot. Original concept of “Hayato” by M. Medina. Later concepts were made by L. Macias and M. Medina before finalization of character models. Thank you for sharing your books, I enjoy reading and keeping up with Yscariot! Cool storyline, and artwork from cover to cover. Keep it coming. Awesome!! !